The Presbyterians will be meeting in Detroit (Henry Ford’s city as it turns out), in June and – as I’ve been discussing all this week – divestment will be on the agenda because it is always on the agenda. 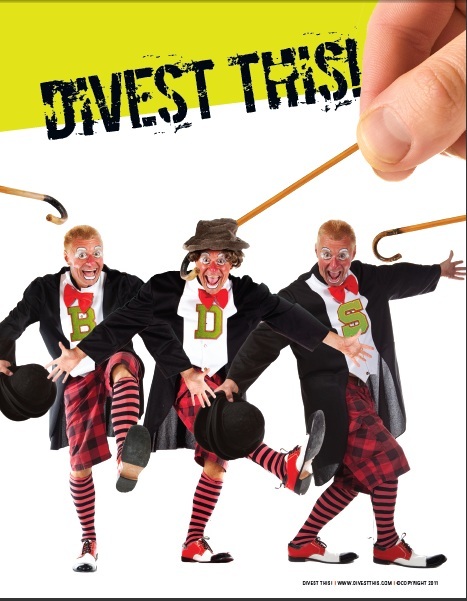 A hearty group of fanatics are determined to take a trip down memory lane, back to the days when divestment was briefly the policy of the institution, with the leadership of PCUSA firmly in the fanatics’ corner. And while those leaders will make nice noises when talking to their alleged interfaith partners in the Jewish community as well as try to distance themselves from the excesses of those they have enabled, it’s clear that the people whose agenda can be distilled down to “Israel Must Go” are once again in the driver’s seat when it comes to how this issue will play out for the sixth General Assembly in a decade. A commenter asked when I started this series the obvious question of what he and others can do. And short of converting to Presbyterianism and moving up the ranks of the organization, there are few ways to directly impact denominational politics, other than throwing support behind groups like Presbyterians for Middle East Peace or local church leaders who have made it a point to take a stand against BDS when they attend the upcoming General Assembly. The organized Jewish community has relied on dialog for most of the last decade in the hope that honest discussion might tamp down the endless Israel bashing that has become liturgy at Presbyterian GAs. And while I’m all in favor of dialog (especially in the form of honest and frank conversations with those with whom we disagree), there comes a point where the number of broken promises turns such dialog sessions into the equivalent of Lucy’s annual pulling away of the football with the Jewish community continually asked to return to the role of Charlie Brown. So though I’m not in a position to know how much or how little lobbying might be taking place behind the scenes, I think it’s time – if only for our own self esteem – to make it clear to everyone involved that passage of divestment at this year’s General Assembly will be met with an immediate termination of all official ties between PCUSA and the Jewish interfaith partners they have been slapping in the face over and over for decades. Keep in mind that an end to this particular official interfaith relationship does not mean a downgrading of relations between Jews and Christians generally (which are remarkably solid, even given the behavior of outliers like PCUSA). Nor does it even mean an end to our relationship with the Presbyterians Church since PCUSA, while currently the largest Presbyterian denomination, is still just one of many branches of the Presbyterian Church with whom Jews can build relationships. In fact, as PCUSA continues to shrink and age, a partnership with other churches might represent a wise bet on the future. And such a break does not mean that synagogues friendly with local Presbyterian Churches need to end those relations, especially since members of many of those churches stand against the excesses of the larger organization. But it must be made clear that those continuing local partnerships do not constitute a continued interfaith partnership between PCUSA and the Jewish community beyond the local level. For it needs to be crystal clear that PCUSA as an institution can have a relationship with BDS or a relationship with the Jewish community, but not both. Beyond such preparations, it might be getting time to do a little naming and shaming of the individuals and organizations that have brought PCUSA and Jewish-Presbyterian relations to the brink. And that is a project I plan to get to next week. 2 Responses to PCUSA BDS: What to do? Thank you for your updates. Without your permission, I copy your material on every site I can get to. I will be on a live webcast with Stand With US on Sunday March 9 at 12 noon EDT. This is the 2nd installment of a 3 part series Standing Up to BDS.